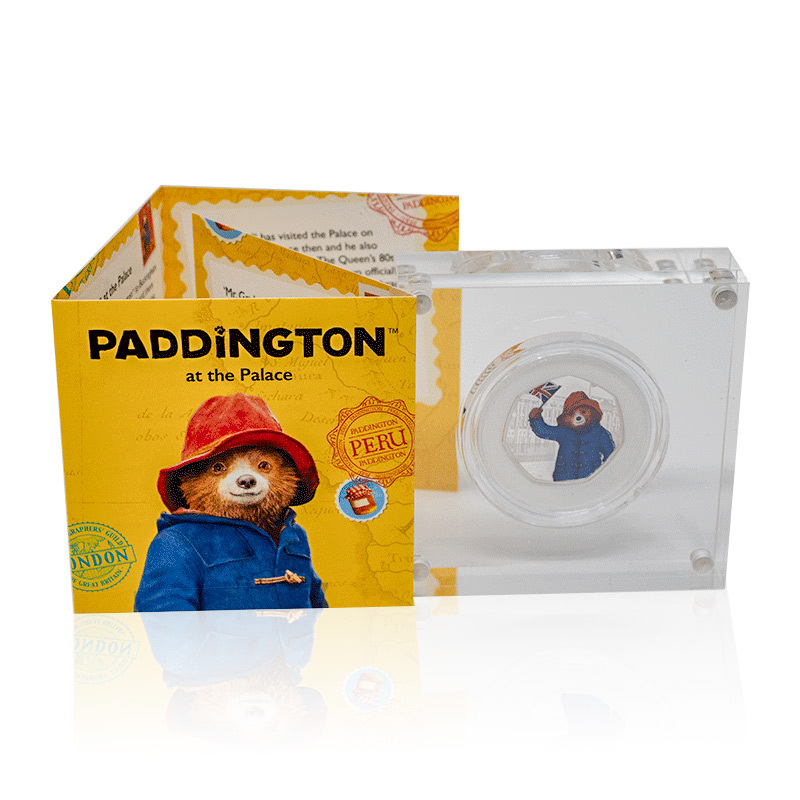 The Paddington Bear at Buckingham Palace Fifty Pence Coin is the second of two Paddington Coins to be released by The Royal Mint in 2018. 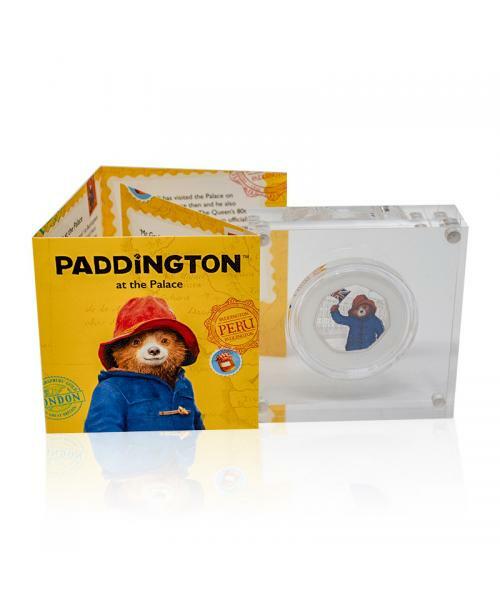 This coin was issued to commemorate the 60th anniversary of Paddington Bear. This limited-edition Silver Proof coin is presented in a full-colour collectable folder and perspex presentation box to display and preserve this stunning fifty pence collectable character coin. The delightful reverse design has been created by The Royal Mint artist David Knapton and the brilliant colour printing on this Silver Proof coin creates a unique coin that will be treasured for generations. The obverse features Jody Clark’s fifth portrait of Her Majesty Queen Elizabeth II. At Exclusive Coins, we stock a wide range of character coins including the Gold Proof Paddington at Buckingham collectable 50p UK coin. If you cannot find the coin you are looking for, please contact us and we will be happy to help you in your search.